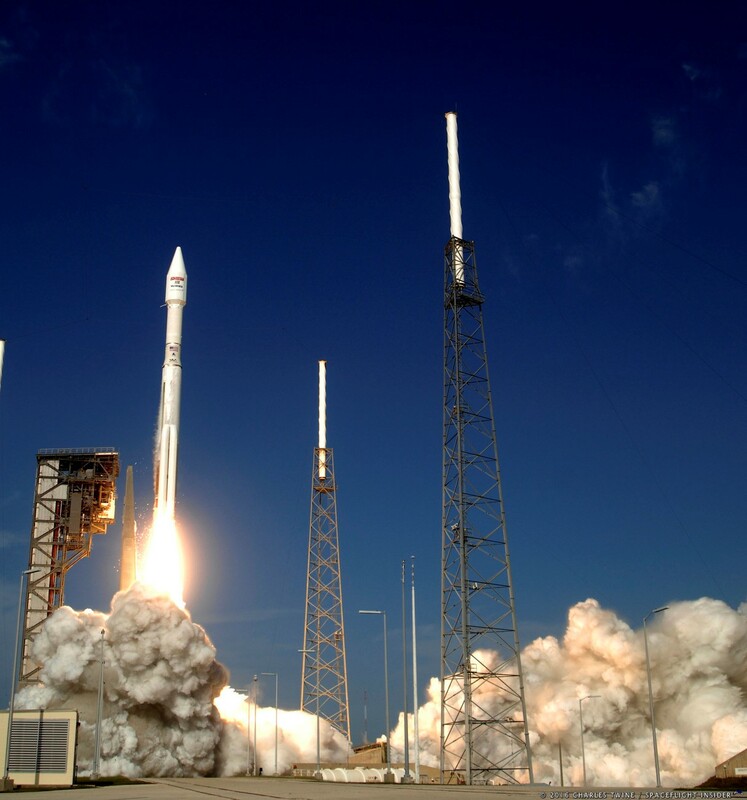 CAPE CANAVERAL, Fla. — The weather might not have been perfect, but that didn’t prevent United Launch Alliance (ULA) from successfully delivering the EchoStar XIX satellite to orbit atop their Atlas V rocket. 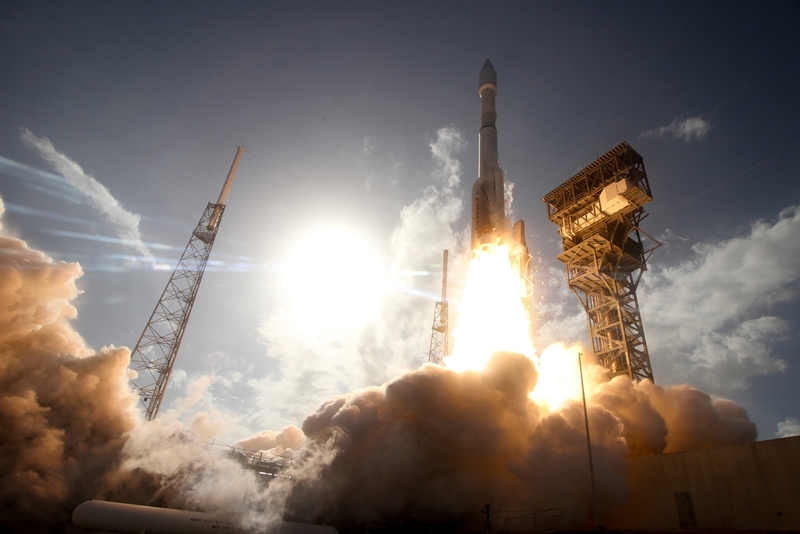 The launch marked ULA’s 12th of 2016 and 115th overall since the company’s founding more than 10 years ago. Amidst broken clouds from an approaching cold front, the Atlas V 431 lifted off from Cape Canaveral Air Force Station’s (CCAFS) Space Launch Complex 41 (SLC-41) at 2:13 p.m. EST (19:13 GMT), after a 42-minute hold at T-minus 4 minutes from the initial opening of the two-hour launch window due to a technical glitch. No man, or in this case, rocket, is an island, a fact highlighted by the contribution of an array of subcontractors including Dulles, Virginia-based Orbital ATK who provided a large composite structure, retro motors for the Atlas V launch vehicle, as well as components for the Echostar XIX satellite itself. 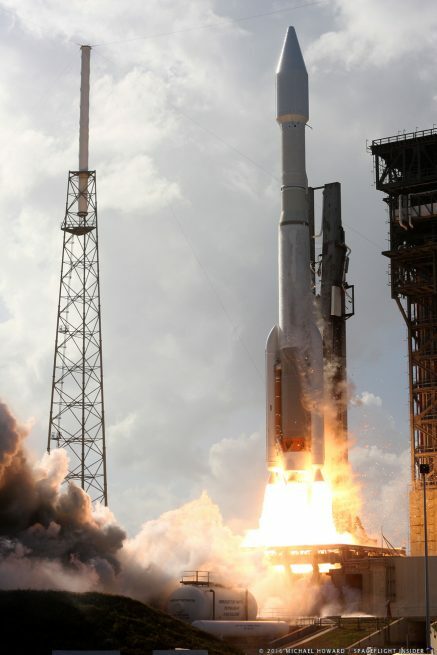 After coasting for an additional 3 minutes, the approximately 14,550-pound (6,600-kilogram) EchoStar XIX satellite separated from the Centaur over the southern half of Africa.